The 1998/99 Reunion is finally here and to celebrate Walsall FC are bringing back the famous shirt worn by Ray Graydon’s promotion-winning team 20 years ago! The commemorative shirt, modelled in the above picture by former Saddlers midfielder Bjarni Larusson, will be on sale at tonight's reunion event before becoming available in the Club Shop at Banks's Stadium from Saturday morning. 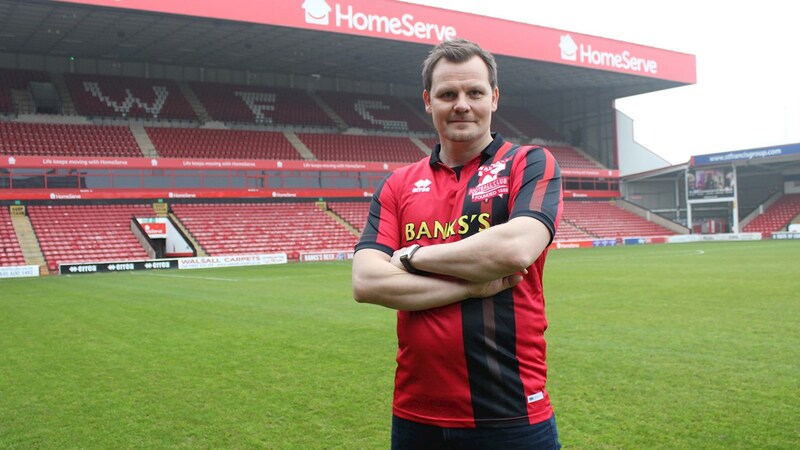 Priced at £35, the red-and-black jersey features the old Walsall crest and the names of all the players involved in that unforgettable season. Don’t miss out and purchase your replica shirt today!